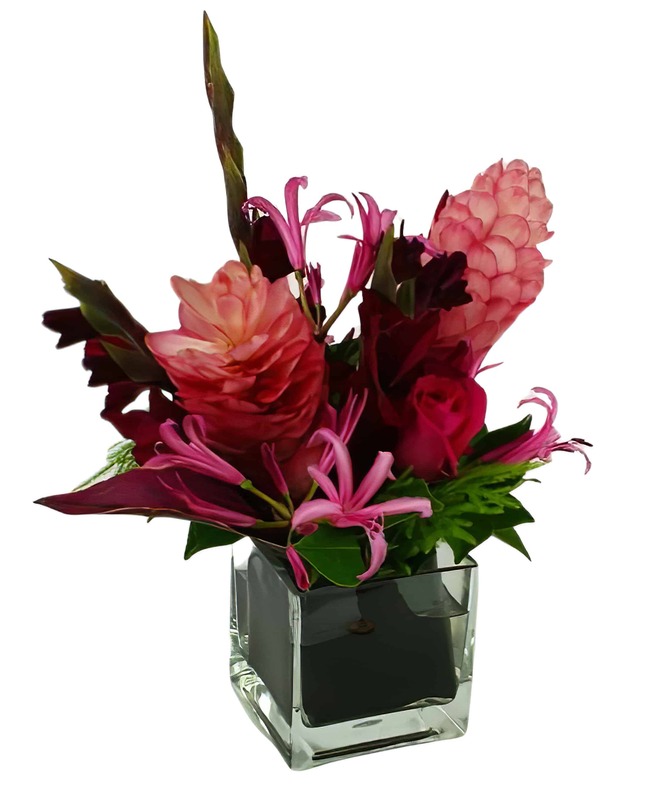 Rich burgundies and soft pinks give this arrangement of Ginger, Gladiolas, Nerine Lilies and Roses a stunning blend of color sure to wet any palette for the tropics. The flowers delivered to my mother were exactly as they appeared online. Beautiful. She loved them. Delivered on time. Podesta Baldocchi always reliable, my go to florist. I lived in San Francisco for 18 years before moving to Ann Arbor, and it was then that I fell in love with Podesta Baldocchi. I love the more artistic arrangements you create, and the flowers are always beautiful. I sent an arrangement to a friend whose father is very ill. Immediately upon receiving it, she sent me a text saying how magnificent it was along with a photograph. You never disappoint! Thanks for being such an easy decision to make each time I order! I can't comment on how the flowers looked this time, since I didn't see them. But I can say that I've used Podesta Baldocchi for years and never tire of their wonderful arrangements. Unfailingly, the staff and service are as professional and cheery as the bouquets. Thank you, PB!